A city free from alcohol-related harm is the vision behind a new strategy launched in Christchurch. The Christchurch Alcohol Action Plan (CAAP) – a joint strategy led by the Christchurch City Council, the Canterbury District Health Board and New Zealand Police – has been developed in response to community concerns about harmful alcohol use. Its approach is based on the international 5+ Solution - a set of evidence-based solutions to alcohol-related harm formed by 15 alcohol and public health scientists from around the world. Safer Christchurch Chairperson and City Councillor Anne Galloway says the CAAP outlines collective strategies and actions aimed at reducing alcohol-related harm across the city. “The CAAP has been developed as a local, inter-agency approach to bringing down the social and financial costs of alcohol-related harm for Christchurch and its communities,” she says. “A significant amount of local data, international evidence and community feedback has gone into it. 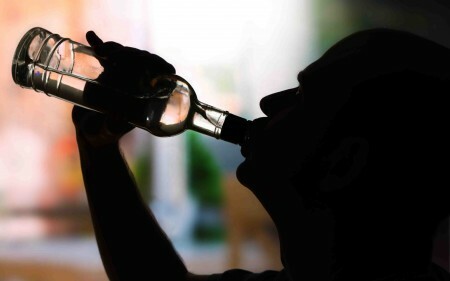 About 800 deaths per year are attributed to alcohol in New Zealand, while the estimated national cost of alcohol-related harm is $6.5 billion annually. Councillor Galloway says the greatest costs are the intangible ones borne by communities and families. “Pain and suffering, poor quality of life and missed opportunities can’t be added up, but they are the greatest costs and a reality for many people in our neighbourhoods,” she says. Canterbury DHB General Manager of Public Health Evon Currie says alcohol-related harm to people and communities is too significant to ignore. “We see this unnecessary harm in trauma patients in the hospital setting and in increased cases of dementia, various cancers and other chronic diseases. Communities experience this harm in many ways, ranging from domestic violence to safety concerns about the neighbourhoods they live in. “Encouragingly, the evidence consistently shows that alcohol harm is reduced when the 5+ Solution is supported, as it is under the CAAP. Area Prevention Manager and Acting Inspector Paul Reeves says NZ Police is committed to the CAAP. “Unfortunately, alcohol is a major contributing factor to antisocial behaviour and harm. Police are focused on preventing that harm and keeping people safe, so we’re committed to this plan,” he says. The CAAP will be rolled out over a five-year period with regular monitoring to measure its effectiveness. Learn more about the Christchurch Alcohol Action Plan.